A fire at a warehouse in Tottenham, north London has seen more than 30 people evacuated from their homes and left two buildings gutted. 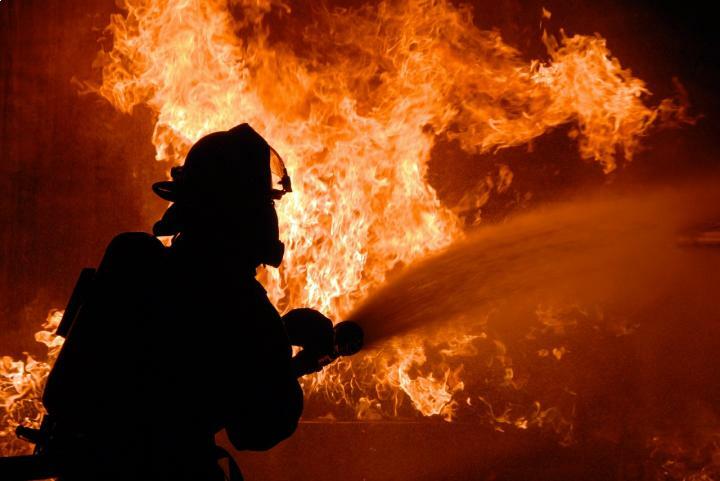 Over 120 firefighters attended the scene in Pretoria Road after a fire broke out at 10pm on Friday night (6 November). The factory adjacent to the clothing warehouse was also destroyed by the blaze, but there were no human casualties in the incident, which more than 100 people called to report. Business insurance is a vital tool to provide cover for companies trading from a set premises, just in case a fire should break out. There is also specialist manufacturing insurance, which will cover stock, machinery, tools and equipment, as well as the warehouse or factory itself. London Fire Brigade station manager Bill Dunn commented: "When they arrived, our crews faced a large, well developed fire and they worked incredibly hard in what were extremely challenging conditions to successfully prevent it from spreading to two neighbouring warehouses. "At its height we had over 100 firefighters at the scene... Around 30 people had to be evacuated from homes in the nearby area during the initial stages of the fire as a precaution but they have since been allowed to return." It was not until Saturday morning that the blaze was brought fully under control. No arrests have been made but an investigation is underway into the cause of the fire.